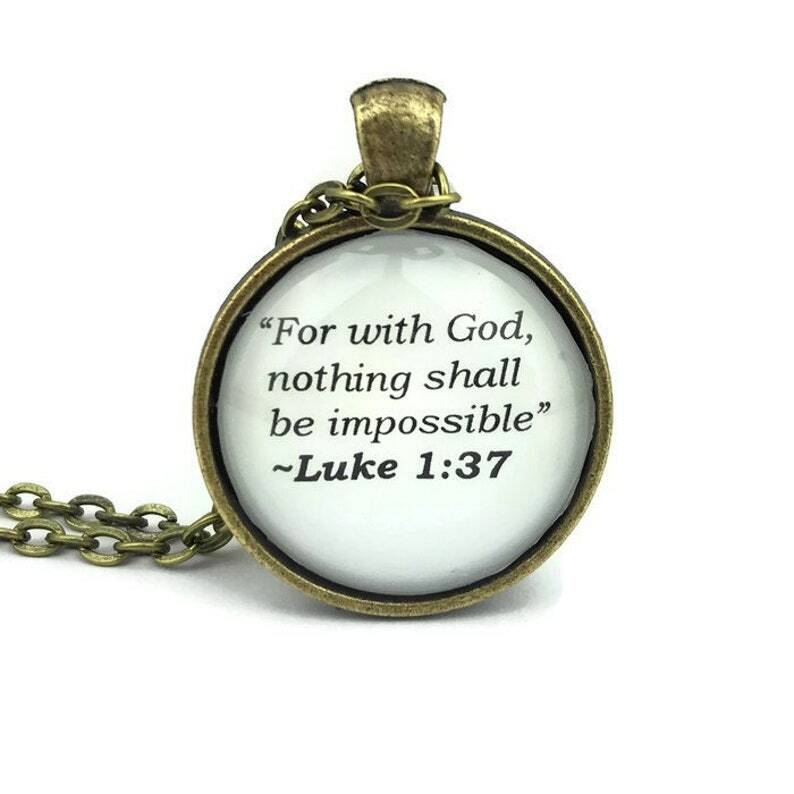 Luke 1 37 Personalized Christian Quote Necklace or Keychain, “For with God, Nothing Shall be Impossible”. Choose Bronze or Silver Setting. 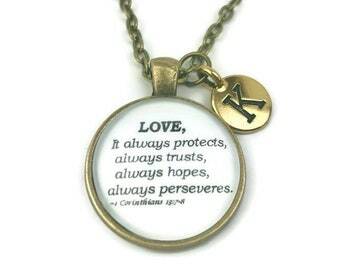 This Christian quote pendant features Luke 1:37 from the Bible : "For with God, nothing shall be impossible." It is available as a necklace or a keychain. Necklace can be personalized with an initial charm. The quote is printed on high quality paper and protected by a layer of resin and domed glass. The chain is your choice of bronzed or silver plated and is 24" in length (which can be shortened if desired). It features an easy to you lobster claw clasp The pendant is 30mm (slightly more than 1") in diameter. Each necklace comes in a pretty organza bag. All jewelry is lead and nickel free. Personalized Luke 1:37 Necklace, Christian Quote Keychain, "Faith, it does not make things easy, it makes them possible." 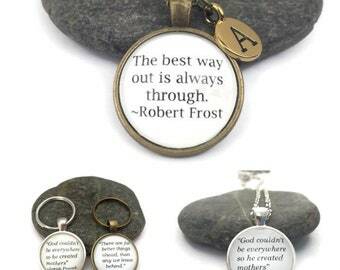 Definition of Worship, Personalized Word Necklace or Keychain. One of a Kind Dictionary Pendant. Choose Bronze or Silver Setting. Personalized Psalm 91:4 Bible Verse Necklace or Keychain, "He Will Cover You With His Feathers and Under His Wing You Will Find Refuge." Personalized Teaching Proverb Necklace or Keychain, Gift for Teacher. Choose Bronze or Silver Setting.